Cranbrook Schools is a collection of buildings that date back to the early 1900’s located in Bloomfield Hills, Michigan. The beautiful grounds and buildings are extensive and use a great deal of limestone, blue stone and brick pavers for walking surfaces. 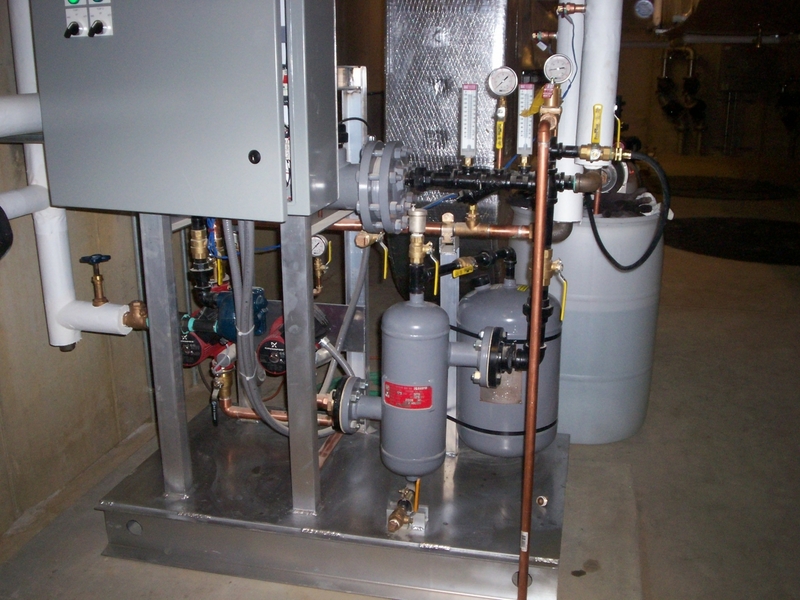 There are several systems distributed throughout the campus, many of which use the campus steam system as the heating source. The larger central campus has over 50,000 sf of walkways covered that use dedicated high efficiency boilers to provide safe walking conditions for the students and staff. 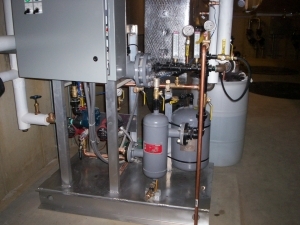 Products used are (4) H7-2003, (1) H7-753, and (1) H71503 Raypak MVB 87% efficient boilers; (1) H7-1505 Raypak XTherm 96% efficient boiler; as well as multiple custom fabricated Steam to Glycol Skid mounted systems for steps.